You have just arrived to an island blessed with the fruit of beauty, which Lefkada it has inherited from the Mediterranean. 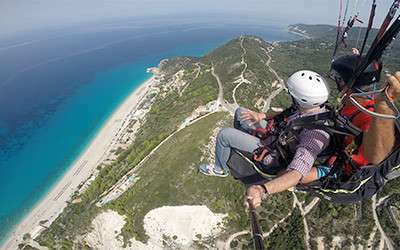 Lefkada isn’t only beaches, sun and sea. 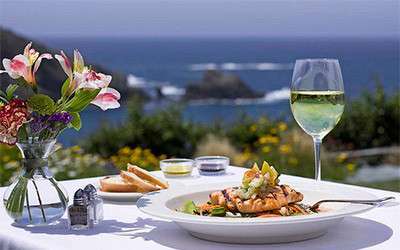 Gastronomy has its own special place in Lefkada. 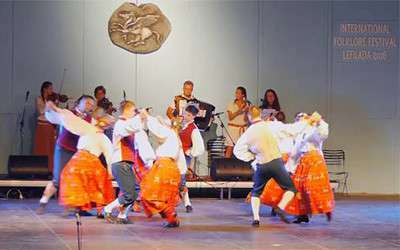 Delicious local specialities, fine drinks and a huge variety of traditional products is what you will encounter on the island. You can taste fresh fish and seafood, high quality goat and sheep meat which is produced from animals grazed freely in the mountains of Lefkada island and in the caterpillars of Aitoloakarnania. Traditional Oil pie: Its main ingredients are flour and olive oil. Is made and offered to celebrations and weddings. You will find it in all the bakeries of the island. 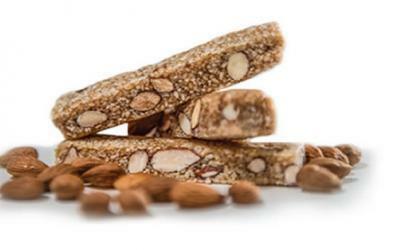 Pasteli: Consists of the sesame and local honey, rich in nutrients and energy. 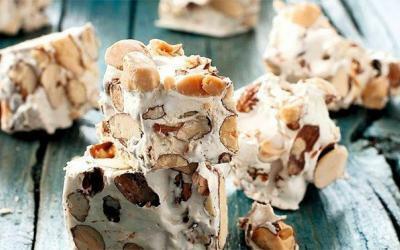 Mantolato: Mantolato is a sweet made from almonds. It used to be the favourite and most preferable dessert of the aristocrats during the Venetian period. Botargo: The gourmet delicacy of Lefkada, which is produced by the female fish mullet and after the special processing it becomes one of the most exquisite snacks, its taste is unforgettable. 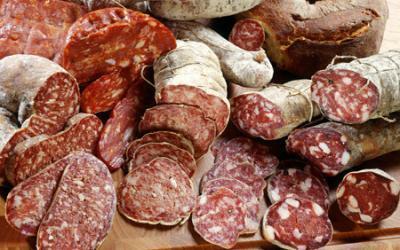 Salami: It is an internationally renowned delicatessen. Salami is a small industry and is produced by the local families of the island. 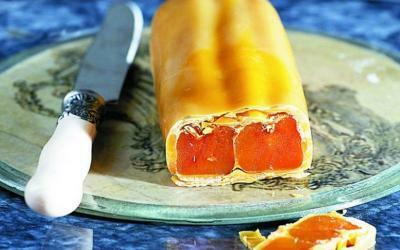 By the way of its production its unique taste and smell is highlighted. Soumada: A Local refreshment made by bitter almonds. It is a treat served at weddings, engagements and other celebrations. 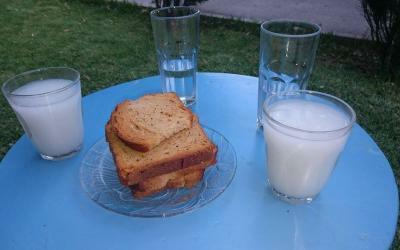 It is also served in traditional cafes with local rusk. 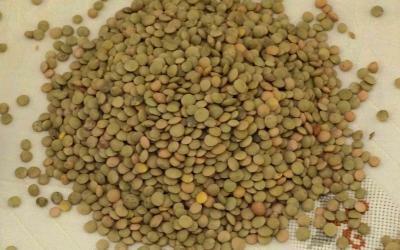 Eglouvi lentils: One of the most famous products of Lefkada worldwide. Eglouvi is the most mountainous village of the island. Lentils are grown in the traditional way and without pesticides. 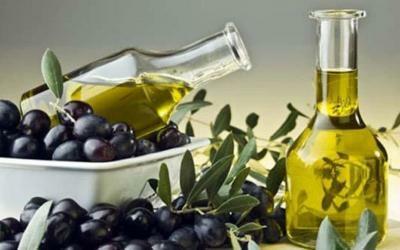 Olive Oil: The gold of the Greek land. Lefkada is famous for the particularity and the flavour of the olive oil, which is unique. The most common variety is the Asprolia or Lefkolia, which is a local traditional variety. 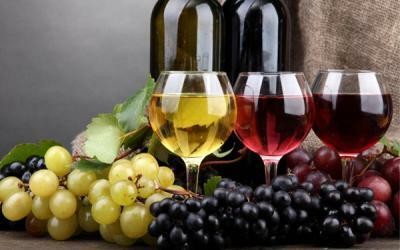 Wine: The soul of the Greek summer is in a glass of wine. Its history is long in Lefkada from ancient times. 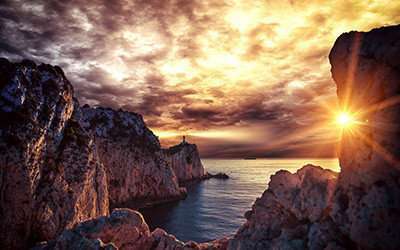 Writers such as Pilios the Athenian, refers to the wine of Lefkada as blessed. 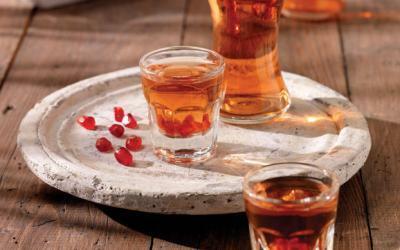 Rosoli: The traditional liqueur of Lefkada with amazing aromatic flavor and digestive properties is the ideal aperitif. It’s made with cinnamon and citrus. The liqueur’s recipe is believed to have been introduced to the island by the Venetians. 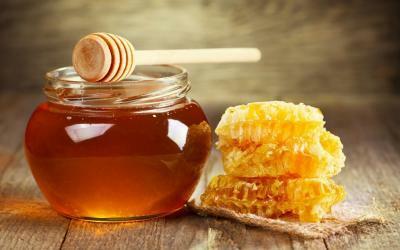 Honey: Thyme, mainly, with excellent taste and texture. Rich in nutrients, you will find it in every table. Local producers operate on the entire island. 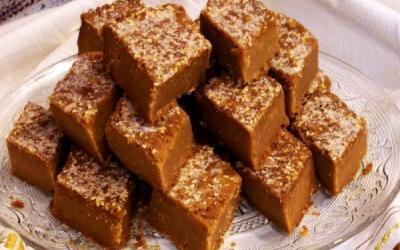 Frigadeli: Frigadeli is one of the traditional delicacies on Lefkada. 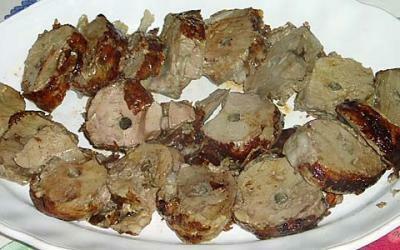 Fragrant liver from goat or lamb wrapped in lamb slips. You can taste it in the local grills and taverns.